What is the purpose of File Guard? The Emsisoft File Guard is a crucial part of the four layers of malware prevention built into Emsisoft Anti-Malware. Using a dual-engine scanner, it checks all files that are downloaded or run against millions of signatures of known malicious software and self-optimizes continuously, allowing for real-time protection. From a technical perspective, File Guard is more or less the same as Emsisoft Anti-Malware’s on-demand scanner. Where it differs is that it’s active all the time in the background, which means you don’t have to bother with frequent manual disk scans and won’t feel the impact of its power – even as it scans dozens of files every single second. This allows File Guard to effectively and efficiently protect you by detecting and intercepting malware before it can successfully infect your system. Navigate to the “Protection” menu and from there to “File Guard” to see all available options. This allows you to choose between best performance and best protection. By default, it is set to “Default”. Default: on execution scan. This is the fastest option. When enabled, every program that is executed gets scanned before running. From a security perspective, this prevents any type of malware from activating. However, there is a risk that downloaded inactive malware files may not be immediately detected. Thorough: scans files when they are created or modified. This allows the software to detect malware when it first enters the system (via download, email, etc), rather than waiting until the file is executed. Paranoid: scans files when they are read by any program. This is the most comprehensive option, but may cause significant performance impact as there are usually thousands of files being read in the background. Only recommended for the paranoid or if you are frequently in situations that require you to intentionally disable protection for longer periods and you don’t want to do disk scans after turning Emsisoft Anti-Malware back on every time. This allows you to select what happens when File Guard detects malware. By default, it is set to “Quarantine with notification”. Alert: Alert pops up when malware is detected. You can then choose what happens to the malware (Allow once, Allow always, Block once, Quarantine). Quarantine silently: The malware is quarantined without notification. Quarantine with notification: You’ll be notified when the malware is quarantined. Choose how you want File Guard to deal with potentially unwanted programs (PUPs). By default, it is set to “Quarantine with notification”. Alert: Alert pops up when a PUP is detected. You can then choose what happens to the PUP (Allow once, Allow always, Block once, Quarantine). Quarantine silently: The PUP is quarantined without notification. Quarantine with notification: You’ll be notified when the PUP is quarantined. No detection: File Guard won’t scan for PUPs at all. The default list of file types is predefined with all file extensions that are known to be able to contain malware. To save hardware resources, you can further limit the list of files if you believe they are safe. Conversely, you can add new extensions to the list if you suspect a specific new type of file might contain malware. In general, there is no need to change that list. In summary, File Guard works quietly in the background to protect your system in real time. 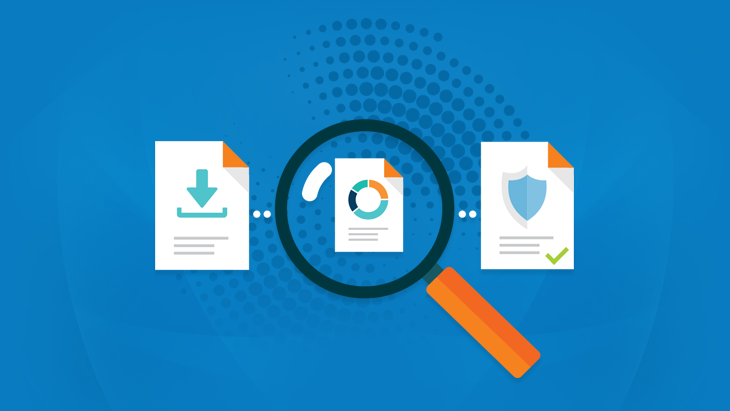 Using its advanced dual-scanner engine, File Guard checks your files against millions of malware signatures without putting too much strain on system resources. Default settings provide a great balance between performance and security, and will provide more than enough protection for most users. Power users and those with specific requirements can configure File Guard as discussed above to better suit their needs.